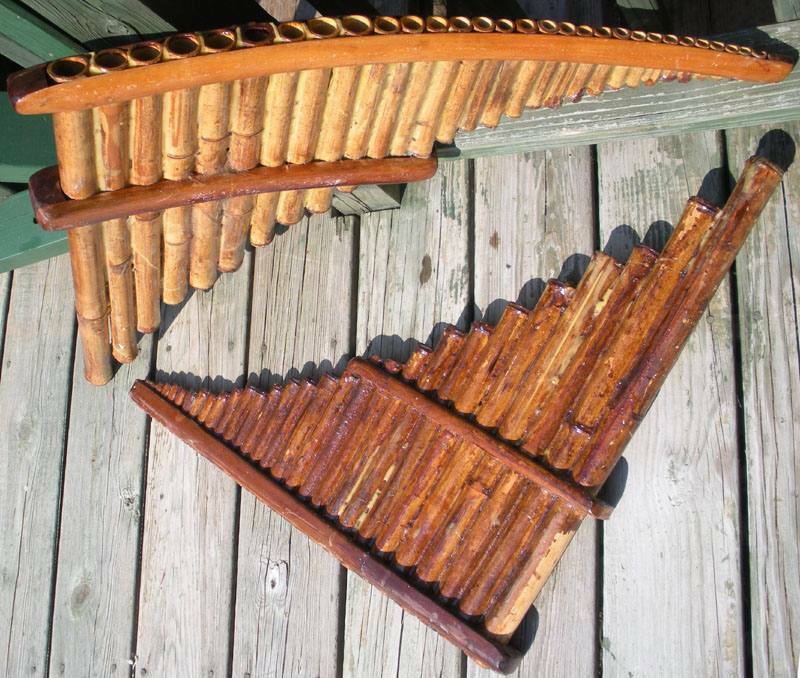 Made of cane, braced with maple and walnut, diatonic, in D major, four octaves. Featured in the song "Celebration of Fire". The upper one has an extra low C natural. Made before I saw how Peruvian pan flutes are put together. Don't reinvent the wheel.